The late Professor Sir David MacKay, formerly chief scientific adviser to DECC, was an ardent proponent of the need to decarbonise the UK economy. But he was also an honest man, not afraid to challenge government policy, such as frequently arguing that renewable energy was a waste of time. Reducing dependence on fossil fuels and moving to renewable and nuclear energy would cost an additional £60billion every year until 2050, the officials said. But Professor David MacKay, a government adviser on climate change, said that doing nothing to reduce carbon emissions would prove even more expensive because of rising energy prices. Although the cost of converting to green energy will initially be paid by energy companies and the Government, they are likely to pass it on to taxpayers through higher energy bills and taxes. The bulk of the cost will lie in replacing the ageing fossil fuel and nuclear power stations and meeting the Government’s commitment to reduce carbon dioxide emissions to hit European Union targets. Meeting the country’s current energy needs costs an estimated £220billion, equivalent to £3,700 per person every year. The cheapest option for switching to green energy would increase the estimated cost of energy to £4,598 per person per year. Under this plan, just over 40 per cent of energy would come from wind, solar and renewable power, a third would come from nuclear plants and a quarter from gas stations. 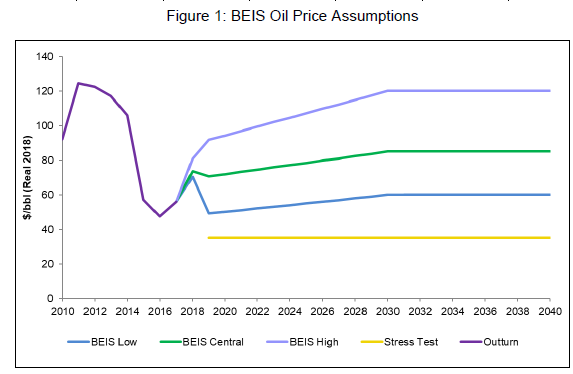 The estimates suggest that failing to replace fossil fuel plants with greener energy would be even more costly. Continuing to rely on coal and gas would cost about £4,682 a year per person, according to the forecasts. The most expensive scenario, working out at £5,181 per person a year, would rely on a far higher use of nuclear power than any of the other options. 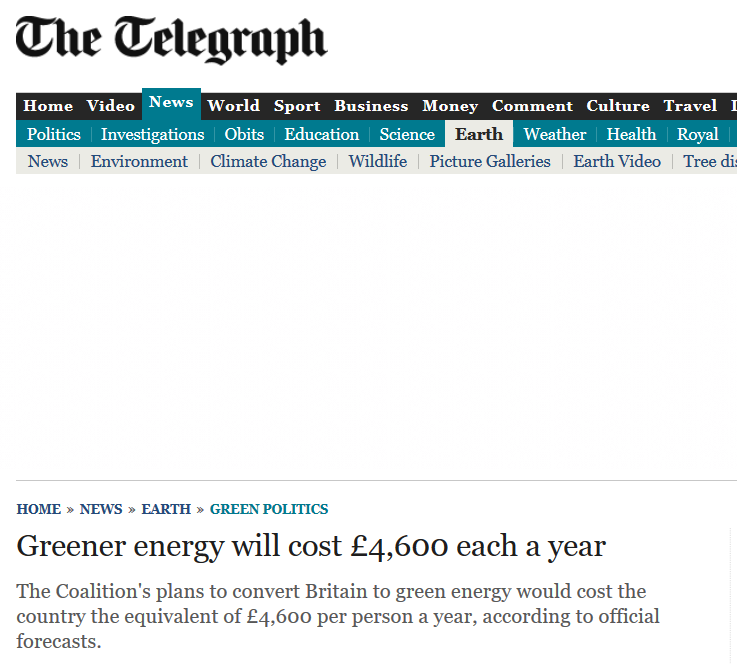 The "cost of energy calculator" has been designed by Prof MacKay for the Department of Energy and Climate Change. The Government estimates that household bills will probably increase by around £200 a year over the next decade, with about half of this rise caused by Britain’s climate change policies. Household energy bills are already at record levels, with the average domestic fuel cost estimated to be about £1,175 for 2011, compared with £1,075 for the same level of energy consumption last year. Energy companies were criticised for raising their prices this summer. 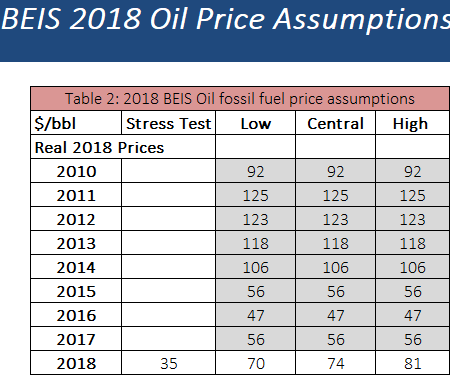 The industry has claimed that gas prices have risen because production has fallen from the Middle East during the Arab Spring, and extra supplies have gone to Japan following the Fukushima nuclear plant disaster in Japan last March. 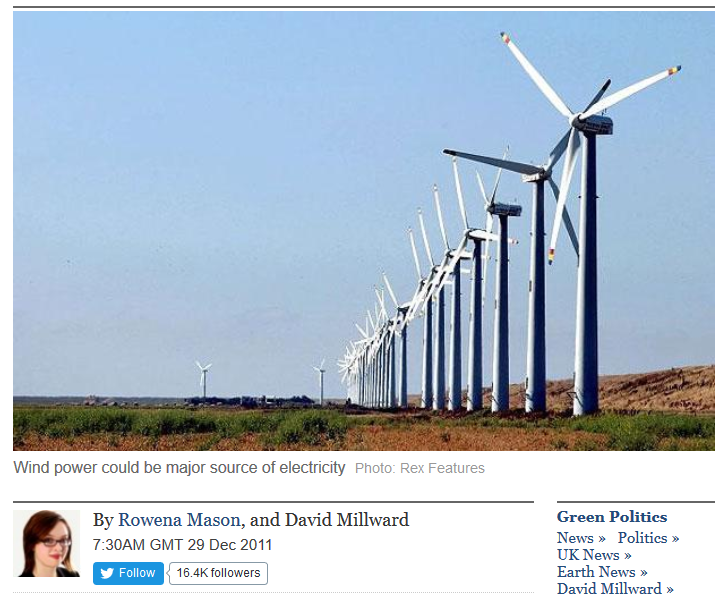 Prof MacKay said: "I was irritated by all the twaddle being talked about energy and the misleading comparisons made. I just wanted the numbers without the hype. I am just the numbers guy, trying to be helpful." The costs of decarbonisation he estimated were frighteningly huge, and ever since successive Energy Secretaries have attempted to cover them up. His claim that the country’s energy costs would rise from £3700 to £4598 per person by 2050, would mean an extra cost of £58bn a year by the end of the period. These numbers are simply too big to comprehend in normal terms. 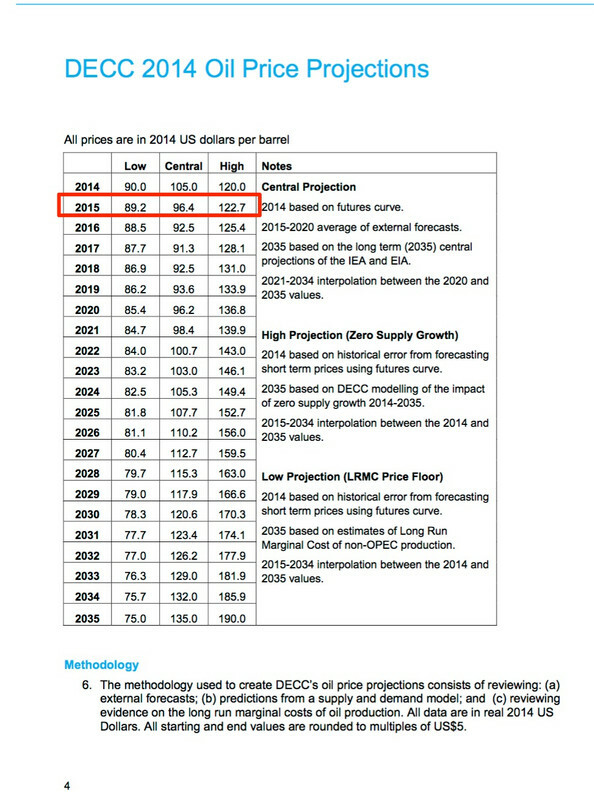 And, on current trends, MacKay almost certainly underestimated the cost of going green. He notes that sticking with fossil fuels would also cost much more, because of rising prices of oil, gas and coal. In fact, since 2011 the reverse has been the case. 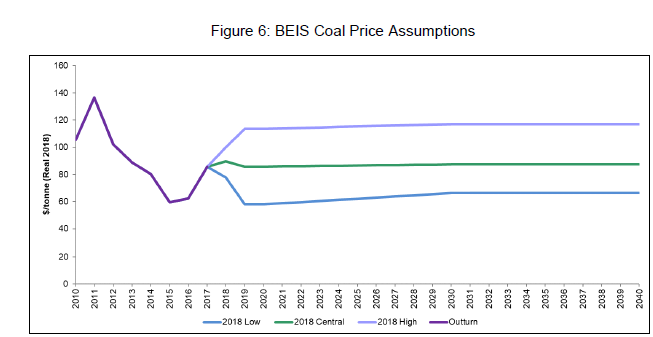 This means that staying with coal and gas would be much less than MacKay’s projections, and less even than his base case. His other forecast, that bills would rise by £100 a year because of climate policies, is also well on the way to fruition. 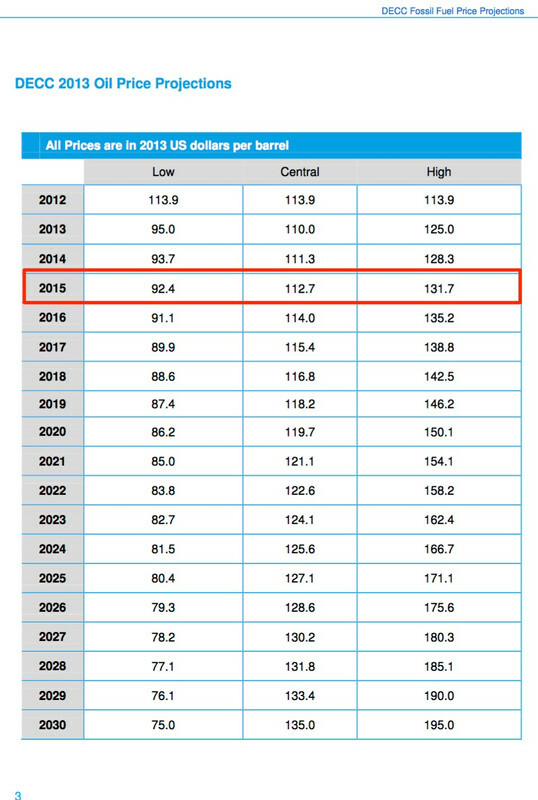 Again, because of falling fossil fuel prices, we could have expected lower bills since 2011. MacKay was never afraid to tell the public the truth about the cost of his policies, because he believed that they were essential. Sadly, the politicians he worked with and their successors aren’t so honest. The green new deal has been costed at the high end of $65,300 per household per year (low end is ‘just’ 50% of that). It appears that most of the world’s politicians and public servants are Insane. I have used his book “With out the hot air” a lot. It is good written and is an eminent reference for real figures when it comes to all the “green” stuff. I agree. I have his book in my study and I regularly go back to it or search through a pdf version. 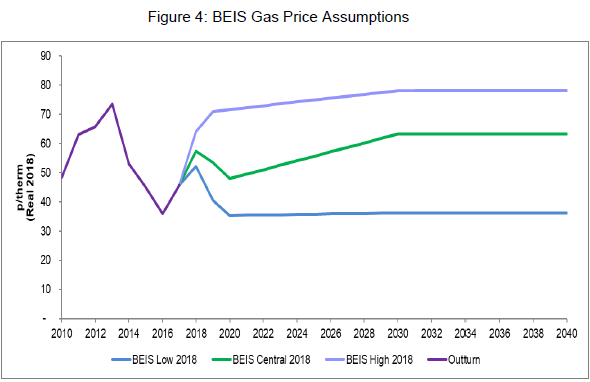 BEIS’s predecessor DECC had an atrocious track record of oil-price projections; maybe deliberately in order to help justify the enormous subsidies throw to wind- & solar-farm owners. Wait until some of these policy maker wizards actually calculates the monetary cost of the capture-and-store of the ~50 ppm of CO2 required to bring the atmosphere back to a “safe” 350 ppm. Fifty ppm of oxidized carbon is at least 360 gigatons. Do the math. At any plausible per ton value of CO2 buried…mega-trillions! And the length of time? Hundreds of years. “Stupid is as stupid does”…Forrest Gump…and now a few others? Decarbonisation won’t change the climate, so what will it do apart from make people poorer? Kill them! The aim of the global warming scam is population reduction is it not? OT. But l hear the Dutch elections have thrown up the possibility of an anti-EU/anti-climate change (ie sceptics) party getting into coalition. Am looking for more info…. Thanks, Ian. Interesting read (plus the news the Jordan Peterson has fallen foul of Cambridge Uni). Yes Paul, but the reality is that although fossil fuel prices are falling and their consumption is growing it is only a matter of time before we start to run out and costs rise fast again. What is required is not short life marine windmills but synthetic photosynthesis making sugars for materials and fuels. Anything else is a waste of time and resources. Except we don’t because that will result in a further population explosion which will destroy us. With NASA admitting that there has been a positive ~+15%Greening world-wide in the last 40 years because of increased levels of atmospheric CO2, it would seem that any attempt at Carbon Capture and Storage CCS is simply a very expensive way to throw away useful plant food.